Payment of an $88 application fee. Please note, this is non-refundable. We recommend applying early to ensure the best chance of getting your first preference. After your application has been assessed, you'll be emailed an offer according to availability of the room(s) indicated as your preference. It's important to accept your offer as soon as possible after receiving it: this is the final step of securing your accommodation. So, please make sure you check your emails so you don't miss out. make an upfront payment for your first month's accommodation. 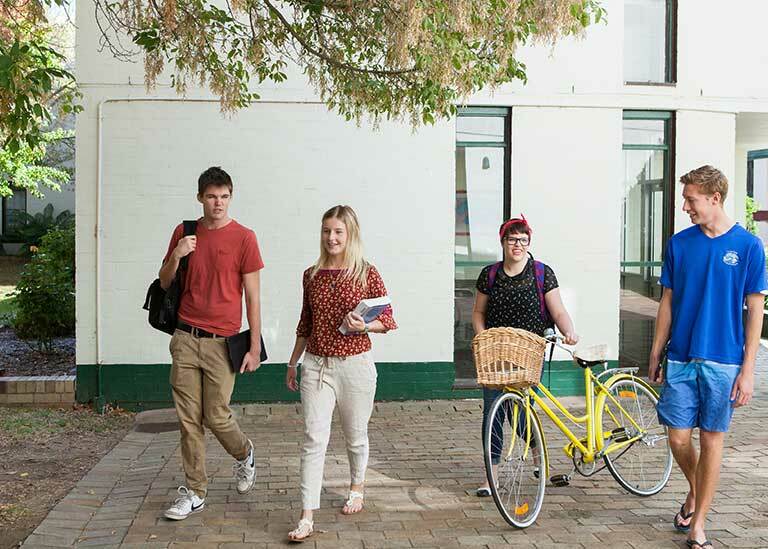 Please note: we will process your accommodation application once you have received a UNE Course offer. UNE offers college accommodation ranging from catered arrangements to self-catered facilities for those wanting a more independent life-style. They all offer great support and easy access to the academic campus and sporting facilities.